Recently I attended a seminar organised by a reputed Think Tank in India. Some of their recent publications were on display and one could pick up those. Annual Report of the Think Tank was also there. A cursory look at the balance sheet in the annual report gave out some interesting data. In the last financial year they received Rs 19.69 crores as Foreign Contribution for Designated Projects. One would be interested to know who are the foreign contributors. Expenditure on Staff salary and Benefits showed Rs 89 Lakhs. Seeing the events they organise, the number of research papers they publish one feels there is a tremendous work load on the research staff, half of them are under 35 years of age. I have a fair idea how much other Think Tanks like USI, CLAWS, CAPS, CENJOWS, VIF and to some extent IDSA pays. Peanuts. Not surprisingly they employ retired people and service officers on study leave. You cannot blame them. Except IDSA others run the org on shoe string budgets. Here when they have so much funds, do they pay their researchers adequately. At least at say, UGC scale of lecturer/ Asst Prof/ Prof? We have heard Honourable Minister Piyush Goel stating that it is good that top 100 companies are shedding people. They will become entrepreneurs and become job provider. Hope this Think Tank does not make their researchers job givers. I must admit I have no idea how much they pay to their researchers. If they pay well, it is well and good. If not, then food for thought perhaps. With the Middle East in flames and Pakistan military-terrorist nexus routinely triggering border skirmishes, India is virtually at war. China now has a vibrant aircraft industry and routinely displays aggressive behaviour on the Sino-Indian border. Very close military and economic links between China and Pakistan is a cause of concern for India. 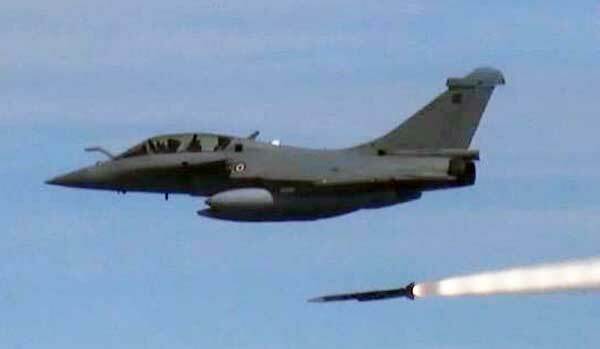 Build up of India’s military strength has not kept pace with the increasing threat. The new government’s ‘Make in India’ thrust especially on defence is a very welcome move. North Korea and South China Sea Flashpoints: Are worthwhile Options left on US Table? 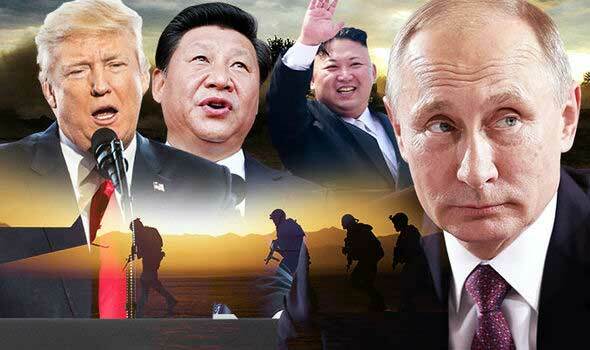 During recent verbal exchanges of provocative statements between US and North Korea, US has been maintaining that they have ‘All the options on the table’, while Kim continued with missile tests shocking Japan and South Korea.The idea of US to resolve the crisis through China did not work, which resulted in US giving indication during recent visit of Rex Tillerson to China that they may be trying for direct talks to North Korea in some manner? President Trumps indicator of “Not to waste time” on Kim, indicates that the options on the table are reducing at a very fast pace.Have the US strategic thinkers gone wrong all these years? Prime Minister Narendra Modi has made solar power a key plank of his energy independence and climate change agenda. India has set a target of reaching 100 gigawatts (GW) of solar generation capacity by 2022; it still has 86.5 GW to go. Cheap solar modules will be key to reaching that target, but India’s abysmal balance of trade in solar equipment has spurred calls for protective measures. With domestic content requirements nixed by the World Trade Organization (WTO), the Modi government may seek other means of protecting domestic capacity. But experience shows that simply offering special opportunities to domestic manufacturers has failed to boost the industry in the past. Recently, India branded Pakistan a “Terroristan”. And its external affairs minister told the United Nations that Pakistan, as the world’s “pre-eminent terror export factory”, has just one national accomplishment to boast of. Yet New Delhi is loath to back its words with even modest action, such as downsizing Pakistan’s bloated, Inter-Services Intelligence (ISI)-infested high commission in New Delhi, withdrawing the unilaterally granted “most favoured nation” status, leveraging the Indus Waters Treaty (IWT), or halting the barter trade across the line of control (LoC) that the National Investigation Agency has identified as financing terrorism. As if to highlight this trend, the Chinese navy recently conducted live-fire drills in the western Indian Ocean. China’s state-run Xinhua news agency quoted the fleet commander as saying that his ships “carried out strikes against ‘enemy’ surface ships” in an “exercise that lasted several days.” The fleet included a destroyer, a guided-missile frigate and a supply vessel. Earlier this year, similar live-fire drills were carried out in the eastern Indian Ocean by a Chinese fleet that also included a destroyer. During a hearing yesterday in front of the Senate Armed Services Committee, General Joseph Dunford, the Chairman of the Joints Chiefs of Staff said that Pakistan’s Inter-Services Intelligence Directorate (ISI) continues to support terrorist groups. Despite this announcement, Dunford and Secretary of Defense James Mattis remain hopeful that the US can rein in the rogue nation. Mattis and Dunford placed all of the blame for Pakistan’s support of terrorist groups on the ISI, and essentially absolved Pakistan’s government and the military of any responsibility for both incubating and supporting regional and global jihadist organizations. 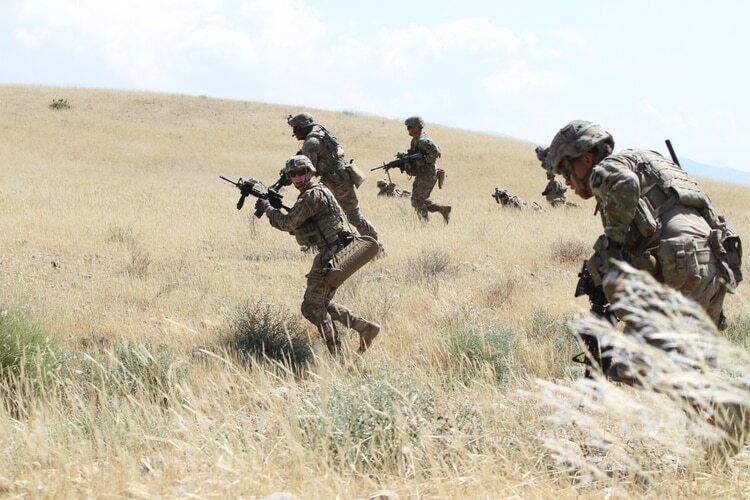 WASHINGTON ― The Trump administration’s Afghanistan strategy has a new acronym, one which the Pentagon’s top officials say will lay the groundwork for a stable Afghanistan in the future. 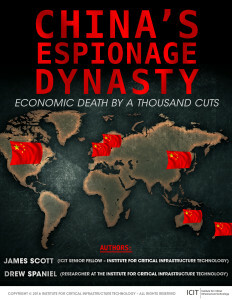 The criminal culture of theft that has been injected into virtually every line of China’s 13th Five-Year Plan is unprecedented. From state sponsored smash and grab hacking and techno-pilfering, to corporate espionage and targeted theft of IP, never before in recorded history has IP transfer occurred at such a rapid velocity. On December 11, 2016, just before my time as Secretary of Defense would end, I stepped off a C-130 transport plane onto a cold and dusty patch of northern Iraq that had been on my mind for more than a year: an Iraqi military airfield called Qayyarah West. Q-West, as it was known to the American military, was a talisman of progress on one of the defining issues of my time as secretary, the fight to defeat ISIS. A year before, General Joe Dunford and I had briefed the President on a plan to energize the counter-ISIS fight. We had laid out a series of military tasks, in Iraq and Syria, that would lead us to the liberation of ISIS’ strongholds in Mosul, Iraq, and Raqqa, Syria. Q-West was a fulcrum of that plan. Ejecting ISIS and turning the airstrip into a logistics hub was essential to seizing Mosul, just 40 miles to the north. What ever happened to the Army’s EW capabilities? 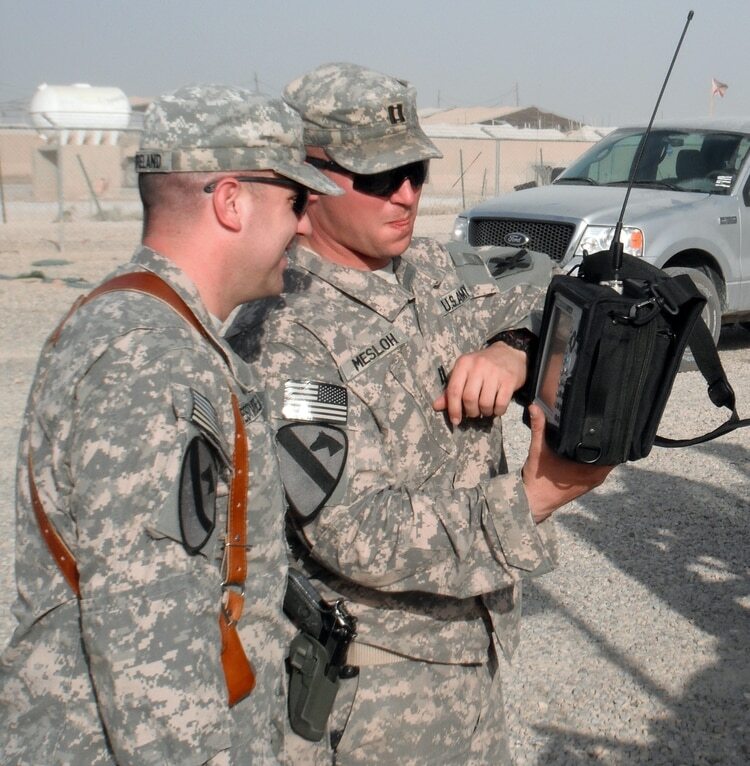 After some atrophy, electronic warfare is making a resurgence within the Army and the military writ large. This is an acknowledgement of the advanced capabilities of adversaries in this space, in which some top commanders have candidly expressed that the U.S. is outgunned in EW. In recent months there has much hysteria in Washington about Russia allegedly lowering its nuclear threshold and particularly about Moscow’s arsenal of non-strategic nuclear weapons. However, there is little evidence that Moscow has lowered its nuclear threshold—nor are there concrete figures available for how many non-strategic nuclear weapons the Kremlin has in its inventory. Consider what is, for the moment, an entirely hypothetical question: What might Defense Secretary Jim Mattis do if he received an order from President Trump to launch a nuclear attack on North Korea in retaliation, say, for a hydrogen bomb test that had gone awry? Certainly, Mattis could try to talk the president out of the attack, if he thought the action was unwise. He could request delays to prepare for contingencies or gather intelligence. He could even, perhaps, argue that the action raised legal questions, because it might cause disproportionate civilian casualties in North and South Korea and thereby violate the laws of war. Michael Krepon recently published an article in Defense Onein which he called the potential development and employment of tactical nuclear weapons “unwise” and strategically unsound. His argument includes several statements that illustrate the yawning chasm between arms control experts and military planners today when it comes to the subject of the utility of nuclear weapons. As is often the case, he uses illustrations and questionable statements that date to the Cold War to discuss the contemporary challenge of nuclear modernization. Here are some thoughts as to why tactical nuclear weapons are being advanced as a valid, contemporary — and necessary — defense capability. The United States maintains a military force primarily to protect the homeland from attack and to protect its interests abroad. Although there are secondary uses for the military—such as assisting civil authorities in times of emergency or deterring enemies—that amplify other elements of national power such as diplomacy or economic initiatives, America’s armed forces exist above all else so that the U.S. can physically impose its will on an enemy and change the conditions of a threaten. We are creating an intelligence that is external to humans and housed in the virtual economy. This is bringing us into a new economic era—a distributive one—where different rules apply. A year ago in Oslo Airport I checked in to an SAS flight. One airline kiosk issued a boarding pass, another punched out a luggage tag, then a computer screen showed me how to attach it and another where I should set the luggage on a conveyor. I encountered no single human being. The incident wasn’t important but it left me feeling oddly that I was out of human care, that something in our world had shifted. For many years, military scientists have contemplated the advent of swarming tactics as an evolution within maneuver warfare, and futurists have contemplated the execution of the tactics by cooperative teams of semi-autonomous drones. These projections expound on strengths demonstrated by hive-minded organisms such as bees or ants, which work cooperatively to defeat larger invaders through non-hierarchal communications. Other swarm theorists reference the deadly effectiveness of the ephemeral, loose formations of horse archers of the Asian steppe against less flexible foes. Whatever the source of inspiration, few authors move beyond the abstract employment of robotic swarms. 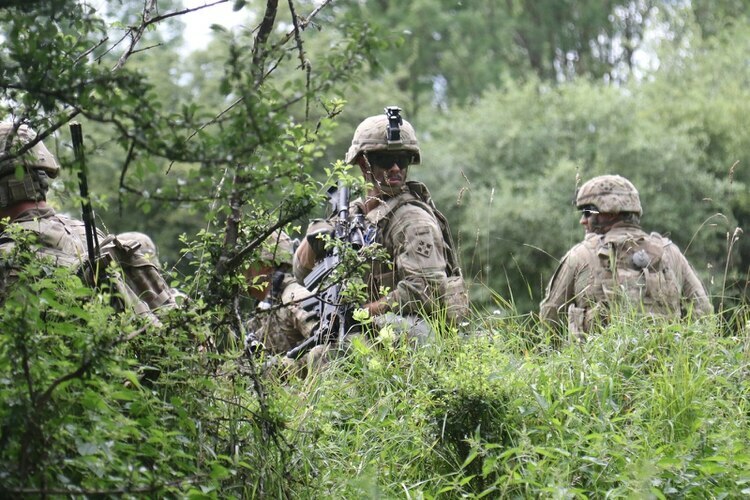 To fully explore swarm utility in fire and maneuver, swarms should be inserted into the tactical concepts of today—chiefly, the five forms of offensive maneuver recognized under Army doctrine. 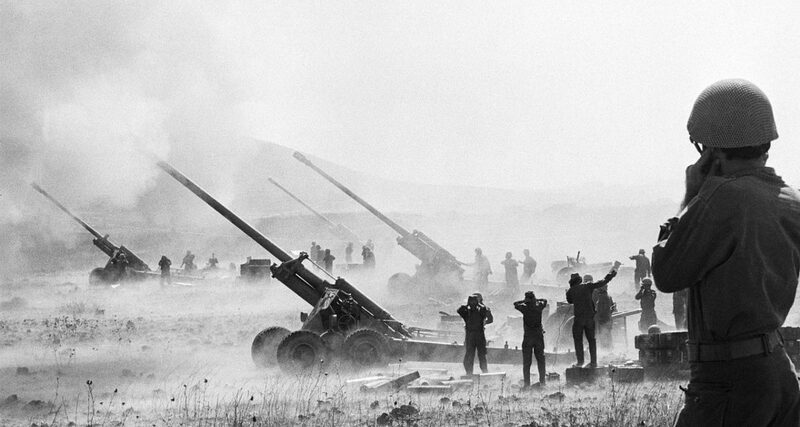 This week marks the forty-fourth anniversary of the beginning of the 1973 Arab-Israeli War. Known as the Yom Kippur War in Israel and the Ramadan or October War in Egypt and Syria, the dramatic events of October 1973 profoundly altered the course of Middle East politics, eventually leading to the 1979 Egyptian-Israeli peace treaty and Cairo’s realignment away from the Soviet Union and toward the United States. Indeed, the 1973 war serves as a textbook case study in the use of military means for political ends, and provides still other lessons for modern warfare that remain as fundamental today as they were forty-four years ago. The occasion of this anniversary provides an opportunity to highlight some of these enduring lessons, as well as to apply them to America’s present national security challenges. Are There Too Many General Officers for Today’s Military? Oct. 1, 2017 — There are approximately 900 Active-duty general/flag officers (GO/FOs) today of 1.3 million troops. This is a ratio of 1 GO/FO for every 1,400 troops. During World War II, an admittedly different era, there were more than 2,000 GO/FOs for a little more than 12 million Active troops (1:6,000). This development represents “rank creep” that does not enhance mission success but clutters the chain of command, adds bureaucratic layers to decisions, and costs taxpayers additional money from funding higher paygrades to fill positions. Lieutenant Colonel Benjamin Ray Ogden, USA, wrote this essay while a student at the U.S. Army War College. It won the Strategic Research Paper category of the 2017 Chairman of the Joint Chiefs of Staff Strategic Essay Competition. It’s incredibly easy . . . to work harder and harder at climbing the ladder of success only to discover it’s leaning against the wrong wall.